OK back to vegetables. I love zucchini. It makes a quick side dish with little effort, plus they are cheap in the summer. I normally mix them with summer squash, but I am a butthead and forgot to buy them. Ah well, not the end of the world. 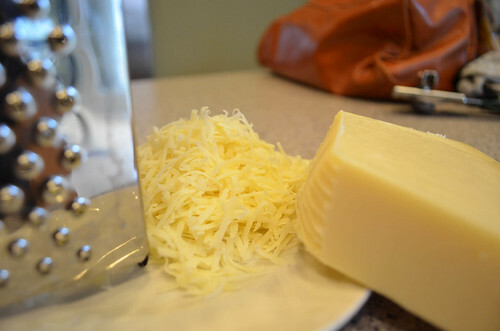 I then topped off everything with parmesan cheese, my all time favorite cheese – well at least a top fiver! I paired this with steak tacos made from the leftovers from my steak salad. I used the same ingredients, minus the corn but with the addition of tortillas and a bit of sourcream. 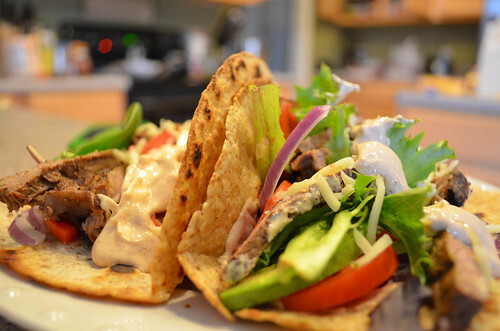 Its great when food is versatile and leftovers can create a whole new meal. Love that, and what a money saver! 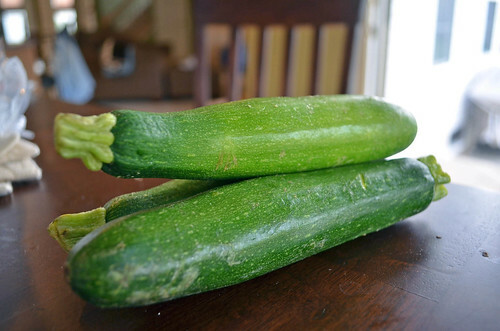 3 to 4 baby zucchini, sliced down the middle and sliced into 1/2 inch half moons. Heat olive oil in saute pan over medium – high heat. 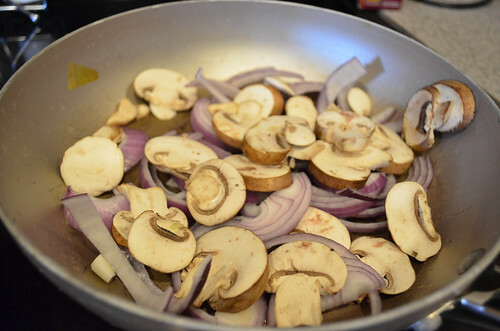 Add mushrooms and onions and saute until mushrooms are tender and onions are translucent. Toss the zucchini with marinade or dressing, salt, and pepper. 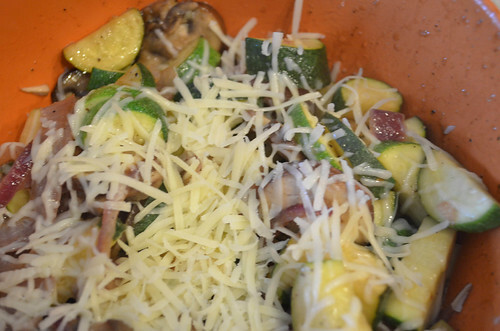 Once mushrooms and onions are tender, add the zucchini. 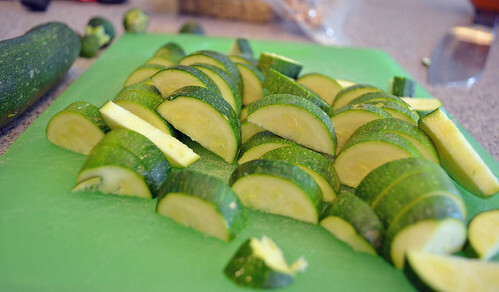 Cook, tossing the vegetables with spatula often, for about 5 to 7 minutes until the zucchini are tender. Transfer to serving bowl and top with Parmesan cheese. I didn’t get a picture of everything plated up because I ended up scarfing this meal down as severe thunderstorms were rolling in. I nearly had to eat in the basement….